The son of Shiva and Parvati, Ganesha has an elephantine countenance with a curved trunk and big ears, and a huge pot-bellied body of a human being. He is the Lord of success and destroyer of evils and obstacles. He is also worshiped as the god of education, knowledge, wisdom and wealth. 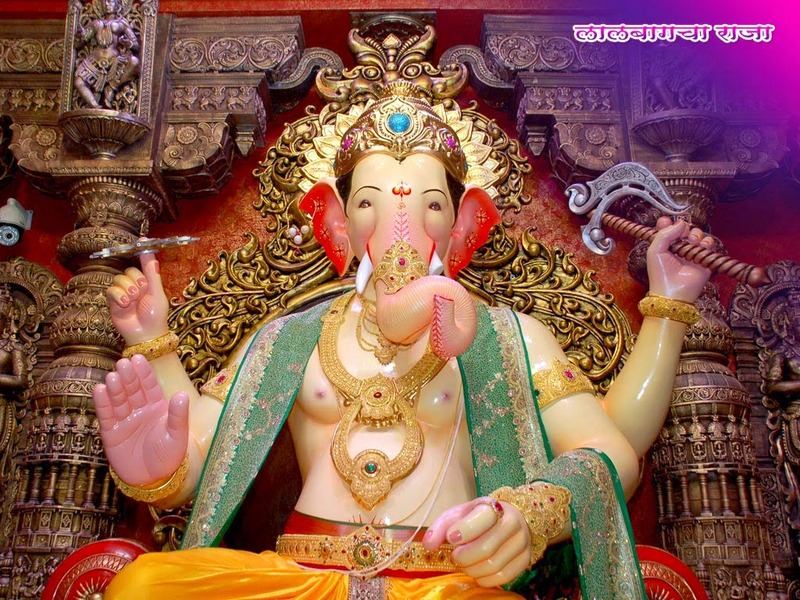 Ganesh Chaturthi is an occasion or a day on which Lord Ganesha makes his presence on earth for all his devotees. It is also known as Vinayaka Chaturthi. As Ekadanta, the Lord has limitless powers. As Heramba, He removes obstacles. As Lambodara, He Protects all worlds. As Surpa Karna, He shows compassion by giving the highest knowledge. All these names for Lord Vinayaka, who is the Lord of all. Ganesha is also known as Vinayaka, meaning one without a Nayaka (master). The Lord has four hands. In one hand he has a rope while in another he has an axe. With the axe he cuts off the attachment of his devotees to the world of plurality and thus end all the sorrows that go with it.